Its all about Inspiration, Motivation and Positivity. If the essence of my being has caused a smile to have appeared upon your face or a touch of joy within your heart.Then in living – I have made my mark…..
Have you ever tried burning piece of paper by focusing sunlight onto it by magnifying glass/mirror. Yes all of us did this experiment in our school days and what a joy to witness that spark onto piece of paper.. Yessssss I did it … :). It all happens by Focusing Light with a mirror. A scientific Phenomenon but worth pondering. My angle was right, My focus was Absolute. FOCUS Yes What a Power it Have. 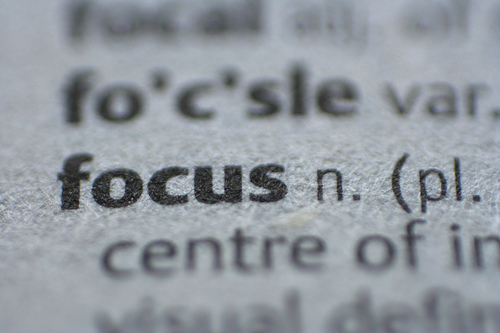 According to Dictionary Focus means Close or narrow attention; concentration, A condition in which something can be clearly apprehended or perceived. Our Thoughts hold the same Power Only If we are able to Focus them. All of us have many distractions in our daily life. Its how we handle them. How we exercise ourselves which thought to focus which to ignore. Its by conscious efforts that we are able to control our thoughts and intensify our focus. When we focus on a thought we force our mind to look in the Direction of that thought. When we consistently Focus on it day after day, Our Lives moves in that Direction. A persistently positive focus creates a consistently positive mind. Its like a battlefield in which mind continously fight with thoughts to gain positive focus. There are many times when we just loose the focus. We know what we want but distractions of our thoughts keep destroying us badly. We wake up with many plans and to do lists but we simple loose focus. Focus teaches us stick-ability. What we want to do at a Time or moment. So Friends Lets Commit ourselves that whatever we do We will Do it by Focusing our energies and Produce results. It is true in almost every phase of life, Either in professional or our personal lives. Lets Focus on our goals and truly watch out any minor Distraction. We are our own incharges and captains of the ships of our lives. If We have a Will We find a Proper Way; Its how intensely We want and then Universe start responding to us and our focus. 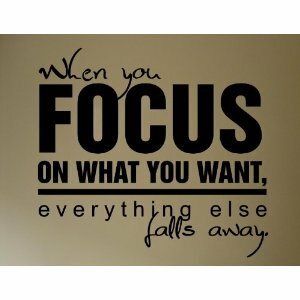 Our Focus activates Our Faith and help us see that which is not yet but is seen as if its there as Reality. HR professional, Consultant, Lead auditor, team builder,Rotarian, Love to read and write,g. Enjoy listening and writing. I want to Live; not to Exist. HAPPINESS is in TRANSPARENCY which ultimately gives Integrity. Gallery | This entry was posted in Uncategorized and tagged attitude, Focus, objectives, Powerofthought, purpose. Bookmark the permalink. You have expressed the importance of having the right ” Focus ” in our lives beautifully Coach 🙂 ! Indeed ; we can achieve anything in this world if our focus is on the right path and we take right decision at the right time and that can only happen if we know what we really want from life . Yes many of us loves the hurdles when we haven’t planned the journey well enough and may even feel joyous about achieving something without even planning it but that is not always going to be the case in Life . The idea of living a successful Life is doing things smart ways and when we do thing in smart ways ; we utilize those parts of our heart ; mind and soul which makes us realize what we can achieve with the potential we haven’t yet utilized that is present in us . In order to realize who we truly are and we can truly achieve : FOCUS . i never read such a rich text about FOCUS …and how it becomes your real power. Explained very well. How once beautiful and fulfilling Relationships become poisonous and unbearable?